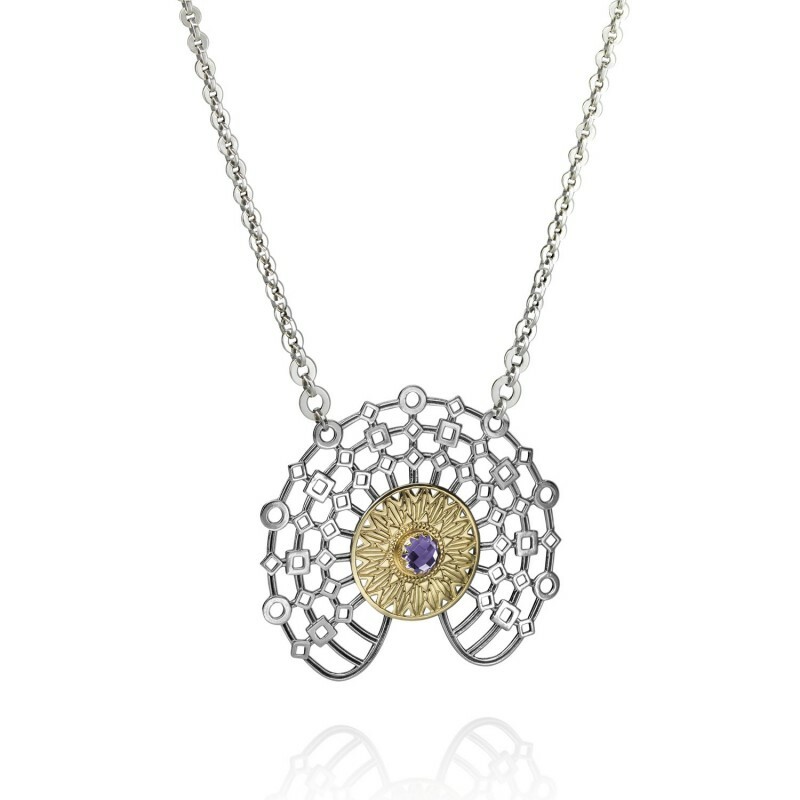 This delicate Bassari Necklace with sterling silver and 18kt gold with Amethyst stone, is inspired by the African Bassari tribe, which represents cartwheel masks fashioned from the bark of the Akuf Tree. The Bassari live in Southern Senegal and and are known for being hunter gatherers. At initiation rites, dancers embodying the spirit of nature wear distinctive cartwheel masks created from the bark of the Akuf tree to preserve social order. Every piece in the Africa Collection by Egyptian Jewellery brand, Azza Fahmy, tells a story that has been handcrafted by more than 200 artisans celebrating the past and present. Azza Fahmy pays homage in this latest gold and silver jewellery collection to Africa’s heritage and traditions.